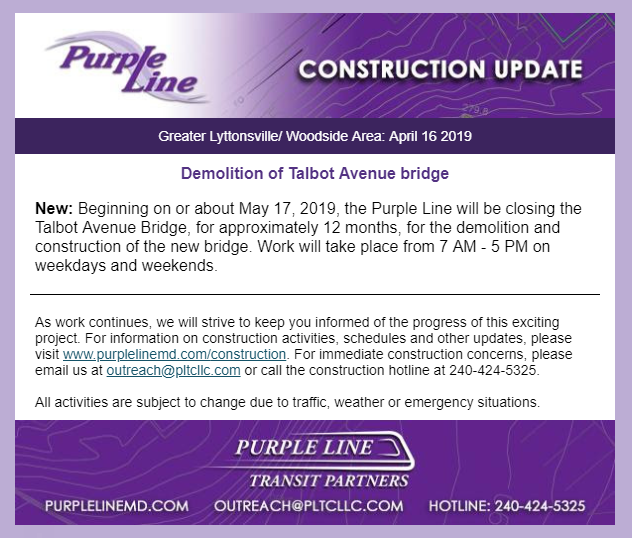 Looks like we have a date for the demolition of the historic Talbot Avenue bridge. If you would like to experience this historic structure, time is of the essence. It will survive for only a few more weeks. Thankfully the main beams of the bridge (perhaps the only part of it original to the 1918 structure) are slated to be preserved and placed along the Capital Crescent Trail.